BOSSIER CITY – Jim passed away peacefully at his residence on Tuesday, November 5, 2013 at 11:30 a.m. after an extended battle with prostate cancer. He was born February 11, 1934 to James and Fern (Chase) Merrell in Williamson County, IL. Jim was an avid outdoorsman and enjoyed many years of hunting, fishing and golfing. Among his golfing accomplishments were the rare feats of shooting his age and sinking a hole in one. Jim retired in 1982 after 30 years of service with the USAF as Chief Master Sergeant. He served two tours of duty during the Vietnam War. He served as the 8th Air Force Gunner during the latter years of his career. He retired a second time in 1996 from Frymaster where he served as International Training Director. A memorial service for James E. Merrell will be held on November 9, 2013, Saturday, at Trinity Presbyterian Church on Airline Drive in Bossier City, at 10:00 a.m. Dr. Dan Hignight will be officiating the service. Inurnment will take place at a later date at the Northwest Louisiana Veterans Cemetery. He is preceded in death by his parents, James and Fern Merrell, sister, Jeanette Owen, step-mother, Betty Merrell and brother, J.W. “Dub” Merrell. Jim is survived by his loving family; wife, Jackie; son, Larry Merrell (Janet); daughter, Linda Hughes (Henry); grandsons, Patrick and Cameron Merrell; granddaughters, Jessica, Mallory (Tristen), Anna Beth Hughes; sisters, Janice Behn and Darla York (Danny); and brothers, David Merrell (Joyce) and Terry “Rock” Merrell (Judy); and numerous nephews and nieces. He is also the honorary Grandpa to many. In lieu of flowers, the family asked that you honor Jim with donations made to the Shriner’s Hospital, 3100 Samford Ave., Shreveport, LA or to The V Foundation for Cancer Research, 106 Towerview Court, Cary, NC. 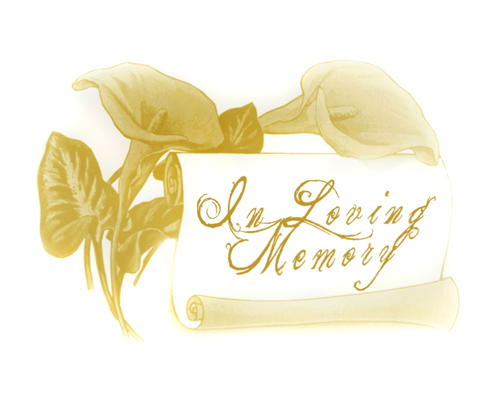 You may share your memories with the family by visiting www.hillcrestmemorialfh.com.